A collector has snagged one of Kurt Cobain's previously owned, and smashed, guitars for a hefty $100,000, making it one of the highest selling pieces of Cobain memorabilia ever. The battered Fender Mustang was sold last week by Seattle's Experience Music Project, one of whose curators said: "It's a really cool-looking guitar because it's smashed and held together with duct tape and Kurt Cobain wrote on it." The guitar dates back to Nirvana's first U.S. tour, Rolling Stone reports, and Cobain eventually traded it to punk rock musician Sluggo (of the Grannies and Hullabaloo) for a working six-string. Sluggo apparently held onto the guitar until recently when he lent it to the Experience Music Project for display. 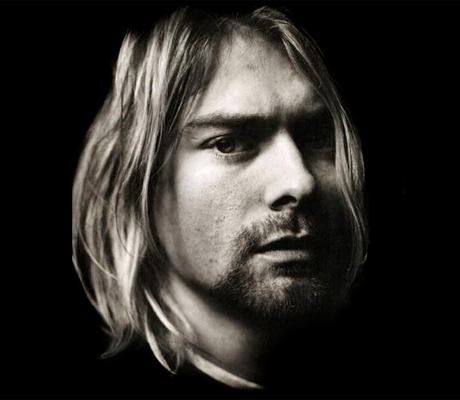 He said he hoped the new owner would allow the guitar to be displayed in Seattle at a Cobain exhibit planned for 2010. According to Rolling Stone, the only other Cobain guitar to ever to hit the auction block was a Mosrite Gospel Mark IV, which sold for $131,000 in 2006. In related news, a smashed-up guitar supposedly once owned by Nine Inch Nails' Trent Reznor recently sold for only $150 on eBay after being listed for a "Buy It Now" price of $1,900 U.S.